Sodalite in its natural form assists you during healing and meditation session. 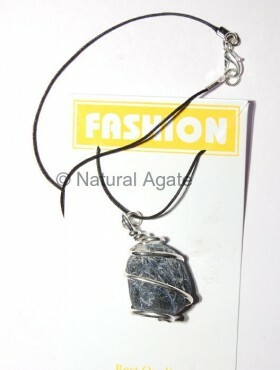 Sodalite Tumbled Silver Wrapped pendant will bring peace in your life and help you to move on from the bad past. Get this powerful pendant from Natural Agate.